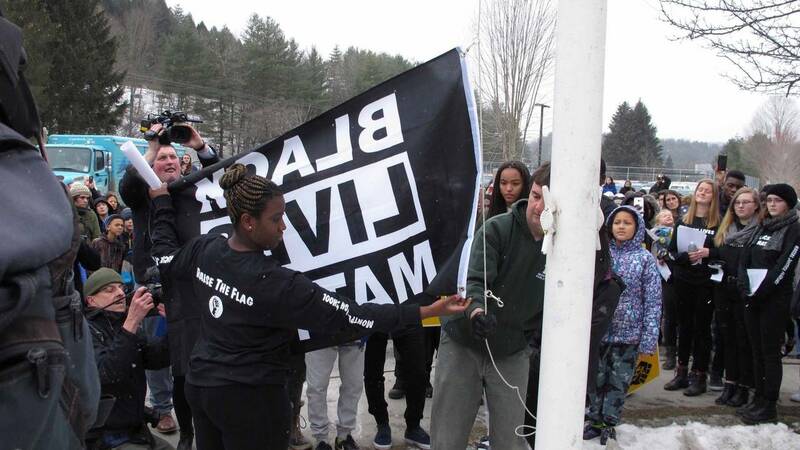 Students in Montpelier, Vermont, raise the Black Lives Matter flag on Thursday, February 1, at Montpelier High School. (CNN) - There are 350 students at Montpelier High School in Montpelier, Vermont. 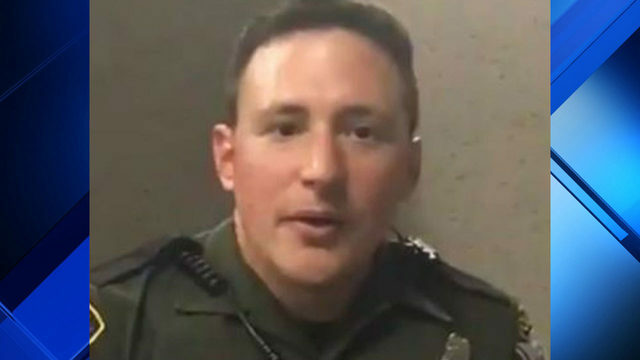 Only 18 of them are black. But it's because of -- and not in spite of -- that fact that the school has raised the Black Lives Matter flag. "We are committed to improvement and this dialogue and to work for equity and racial justice in our school system," Principal Mike McRaith, who is white, said at Thursday's flag-raising ceremony, as reported by CNN affiliate WPTZ. "We can and we must improve our educational system to be more culturally competent and ever more inclusive to the historically marginalized and oppressed." The flag-raising, which was attended by students, faculty and neighbors, was among Black History Month events designed to start conversations about racism and race equity in education. The idea was brought to the school board last year by a student-led group called the Racial Justice Alliance. If all goes according to plan, the banner -- which spells out "Black Lives Matter" in white letters against a dark field -- will stay aloft all month. McRaith also invited local police to the ceremony so they could see the gesture was in no way intended as an attack on them, he told WPTZ. "Thank you for understanding that the decision to fly the Black Lives Matter flag this month at Montpelier High School is not anti-police. It is anti-bias," McRaith said during the ceremony. "Thank you for understanding that we reject any purported violence associated with Black Lives Matter and embrace the message of equity for all." The school has gotten some angry phone calls, emails and social media posts criticizing its decision, McRaith said, while others have praised the decision. "We all, as Vermonters, should be proud of what we are doing in our schools when we can have our youth be this responsible," state Rep. Kevin Christie said of the gesture.